It’s no secret. Sydney serves as a home to the most well-known icons of Australia, while being the destination for Down Under travellers. 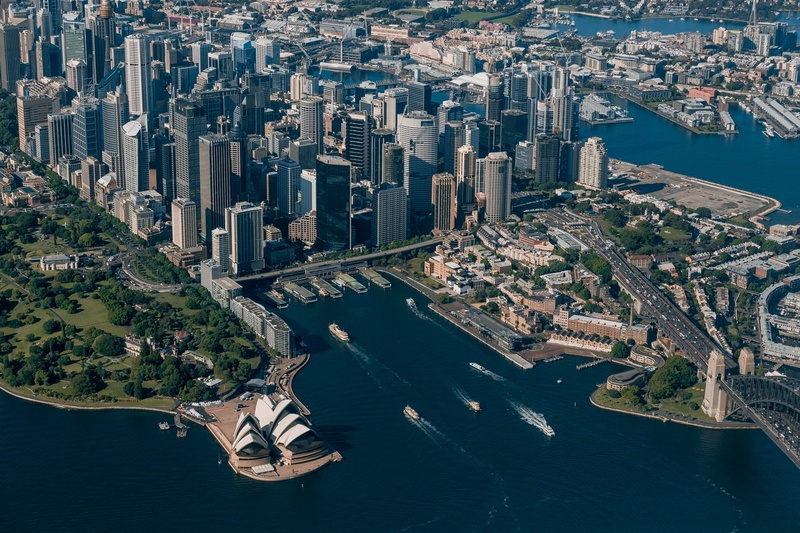 While there are obvious places to see and experiences to dive into, there are some off-the-radar things to do in Sydney and surrounding areas that only folks well-versed in the Australian culture can provide. 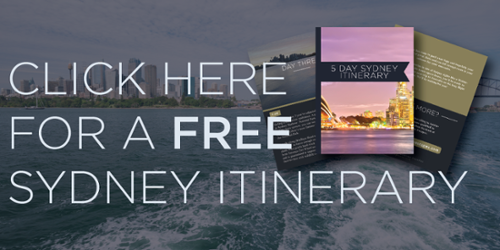 When you’re planning out things to do on your next Sydney vacation, be sure to mix up the iconic sights and sounds with some experiences that only Aussie locals can direct you to. It’s always fun to experience a place as a local when travelling. Visiting niche neighbourhoods creates an opportunity for those visiting to live like a local. Areas like Surry Hills, Newtown, and Redfern offer heaps of coffee shops, bars, cafes, restaurants, and shopping opportunities to nestle you and your travel companions into living like an original Aussie. Running amongst the Australian locals provides a cultural experience that the frequented Australian icons don’t always offer. Some markets in and around Sydney often serve as tourists destinations, however certain neighbourhoods offer unique takes on the marketplace culture. From fresh produce markets to clothing fairs, local markets like the Moore Park Market focus their marketplace on sustainable products and family-friendly activities. The Everleigh market in Darlinghurst offer similar experiences as the Moore Park Market, steering you clear of a tourist hub market like Paddy’s Market. Throughout the curation of unique vendors, the common values of sustainability and progressive ways of living are shared, providing workshops and cooking demonstrations that enrich attendees with a look into authentic Australian life. New to the Sydney coffee hub is Cabrito Coffee Traders. Pulling some of the tastiest espresso in the area, Cabrito is sure to supply your necessary Aussie afternoon pick-me-up after enjoying the Sydney parks on a sunny day. Over in Surry Hills is one of the top coffee shops in Sydney, Single Origin Roasters, who serve nitro coffee and roast their own beans, providing the locals and travellers an Australian cup of coffee from start to finish. Pure Australian caffeine! A few other mentionables are Swallow Coffee Traders, Coffee Alchemy, and Reuben Hills Coffee Roastery & Cafe. Needless to say, Australia’s got you covered for your coffee fix. There’s been word that there’s been a resurgence in the cuisine served in Australia and it’s the truth. Chefs are taking their favourite recipes and incorporating Australian cooking traditions into them, developing restaurant menus into culturally-packed dishes. Mosey on over to the Surry Hills neighbourhood, which houses some hidden gems like the cafe FourAteFive, who offers weekend pancake specials and third wave coffee, perfect for starting the day with a flat white and a solid bite to eat, the Aussie way. For an excellent Australian styled meal, the Kingston Public Bar and Kitchen keeps the amber fluid flowing and pairs it with beef and pork belly burgers or steak sandwiches to keep you going through the night. You’ll need to take some time to relax in the Aussie sun. While it is one of the most famous beaches in Australia, you can’t leave Bondi Beach off the list. Locals flock to Bondi to have a few day drinks and bask in the beautiful landscape and it’d be a shame to not join them. For a more secluded experience of Australian beaches, Cave Beach provides waves perfect for beginners after a 300 meter walk to a beaut of a beach. If you go on the right day, you might spot some cheeky kangaroos out in the surrounding wildlife of Cave Beach. When you’ve made the decision to visit Australia on your next vacation, keep this off-the-grid things to do in Sydney and around Sydney in mind. One of the greatest parts of traveling is experiencing the destination’s culture and living life amongst the locals is the best way to do it. Whether it’s unique tours of Sydney, excellent Australian dining, or the cure for your coffee and beer fix, these insider tips will set your trip off on the right foot.